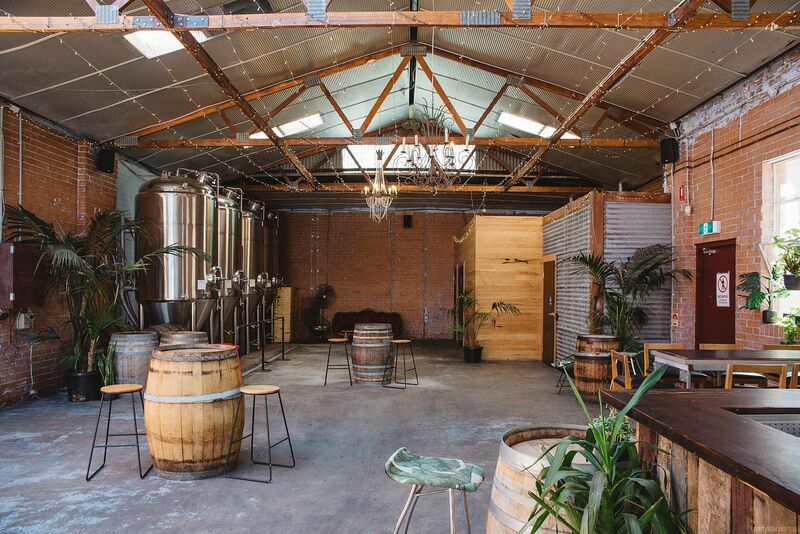 The Moon Dog Brewery's Ballroom Oasis is tucked into the back streets of inner Melbourne's Abbotsford, just 3km from the CBD. 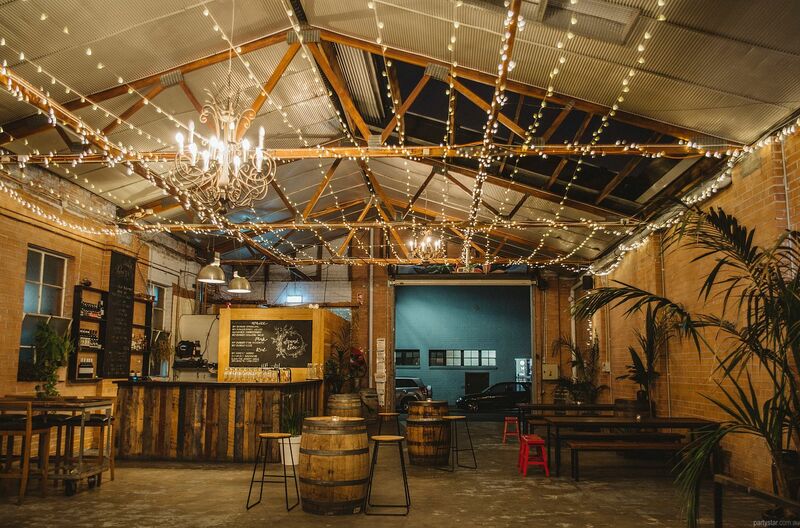 Situated in a converted red brick warehouse, it features chandeliers, palm trees, fairy lights, retractable roof and a backdrop of four large fermentation tanks. 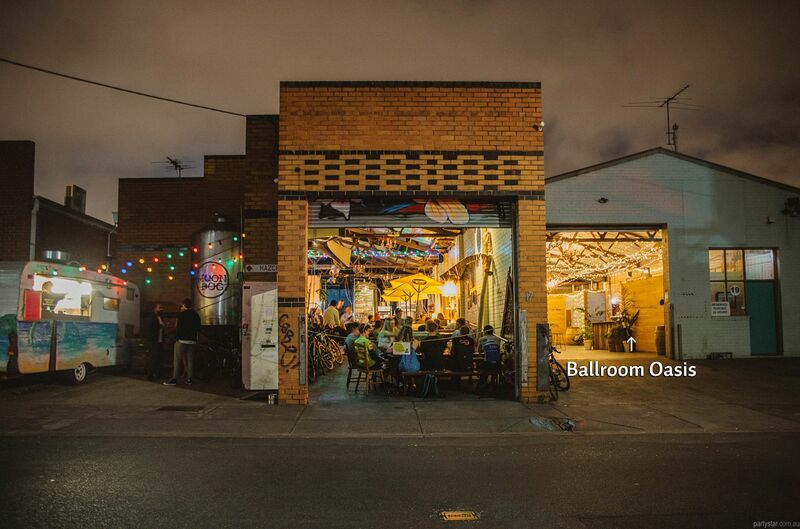 It's a brewery, it's a bar, it's a party space. Approximately 10m x 22m, the large open floor space is flexible, even allowing vehicles to be easily driven inside for an indoor display or product release event. 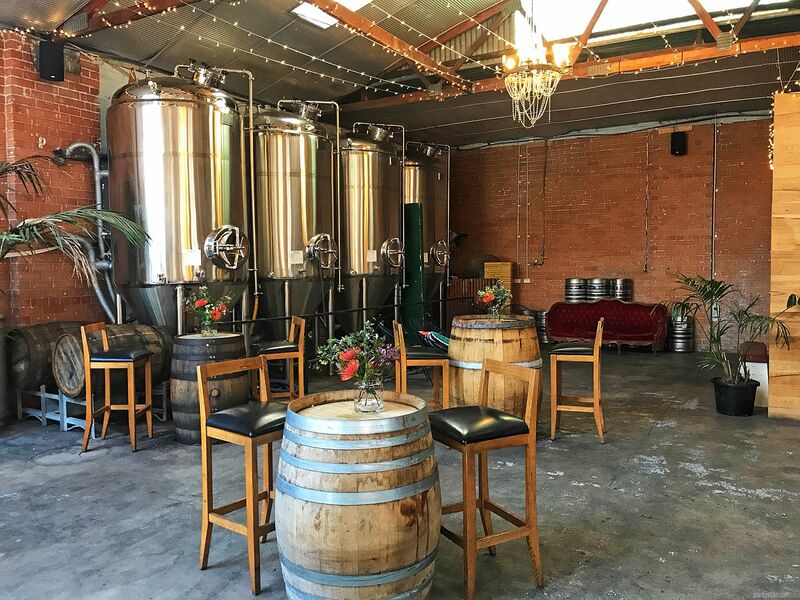 There's an exclusive bar featuring a rotating lineup of beers made by the Moon Dog brewers right next door, as well as wine, cider and cocktails. Food can be supplied or booked with an outside vendor. 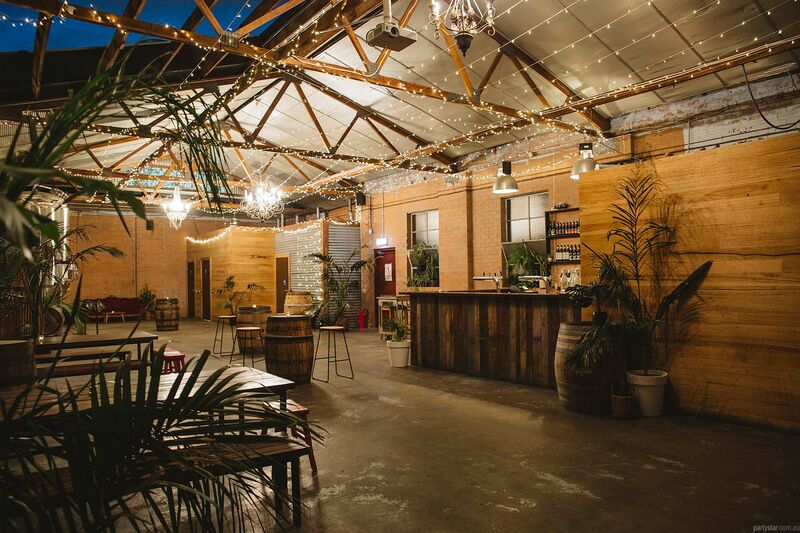 With a wide range of events under their belts (weddings, movie screenings, roller discos, 70ths, book launches, and more, the team at Moon Dog can help you plan your unique event! Can have DJ but not live music. The venue can hire karaoke. 21st birthdays: $50 an hour for duration of the event. Moondog cannot serve alcohol past 11pm and require everyone leaves by 1130. Functions can commence from noon on weekends. Additional hire past 5 hours' duration, is $90 extra per hour. Public holidays are more expensive. Restrictions: Flexible, but discuss with the Functions Manager prior to the event.